Sometimes your mind, body and soul need some re-charging after a day on the slopes. Sure, having a cold one is a great way to unwind but what about those aching muscles? Nothing cures them like a good old-fashioned soak in a hot spring. 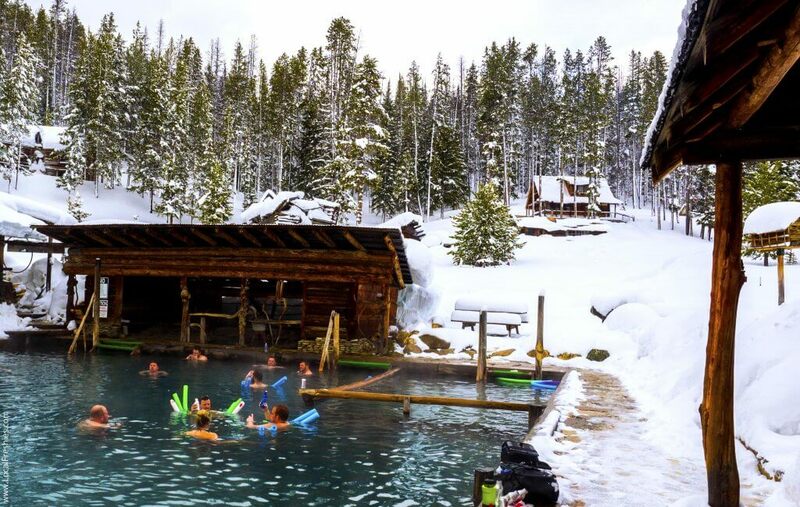 Here’s what we consider the 5 best hot springs near a ski resort in North America. 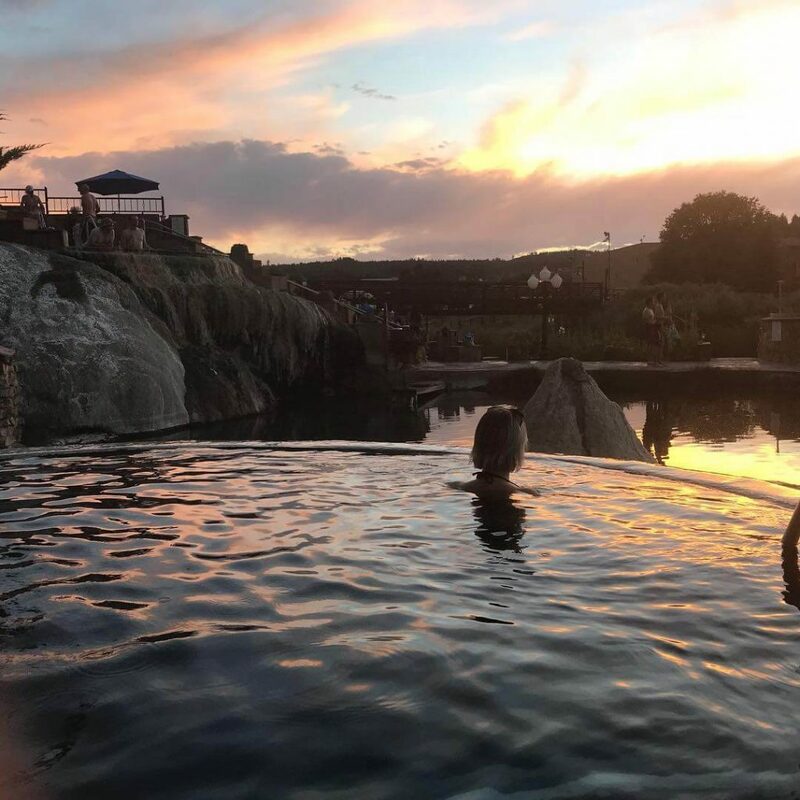 Our personal favorite is Ojo Caliente which literally translates to “hot eye” as in the earth’s eye, commonly known as a hot spring. 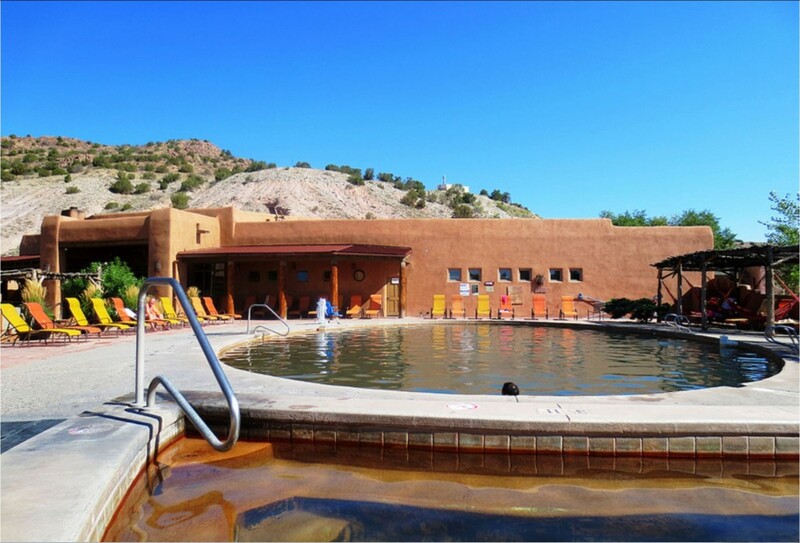 About 50 miles outside of Santa Fe, these hot springs are well worth the drive. Why? Well, Ojo Caliente is the only hot springs in the world with four different types of mineral water including lithia, iron, soda and arsenic. Their twelve pools are then filled with different types and combinations of these waters giving you a unique way to take a dip. Home to the DEEPEST geothermal hot springs in the world, these amazing pools of water are nothing to sneeze at. Combine that with the actual pools being terraced to overlook the beautiful San Juan River, you’ll enjoy the scenery of the river along with the mountains. With twenty-three pools varying in temperature from 86 to 114 degrees, you can be like Goldilocks and find the right tub for you. It doesn’t hurt that it’s next to the snowiest ski resort in Colorado. Are you someone that wants to combine adventure WITH a rewarding dip into a hot spring? Then look no further than the Burgdorf Hot Springs in winter. On the historic register, the only way to access this rustic resort is by hopping onto a snowmobile. Fortunately, they have heated changing rooms to get you in that swimsuit. And when you’re done, you’ll dry off and change back into your snowmobile gear, leaving just as cozy as you came. For those feeling even more adventurous, you can stay overnight in one of their cabins for only $35/night. On the fence? Read about our personal visit to the Burgdorf Hot Springs. The Canadian Rockies are arguably the most majestic peaks in the world. Photographs don’t do justice to these mountains. 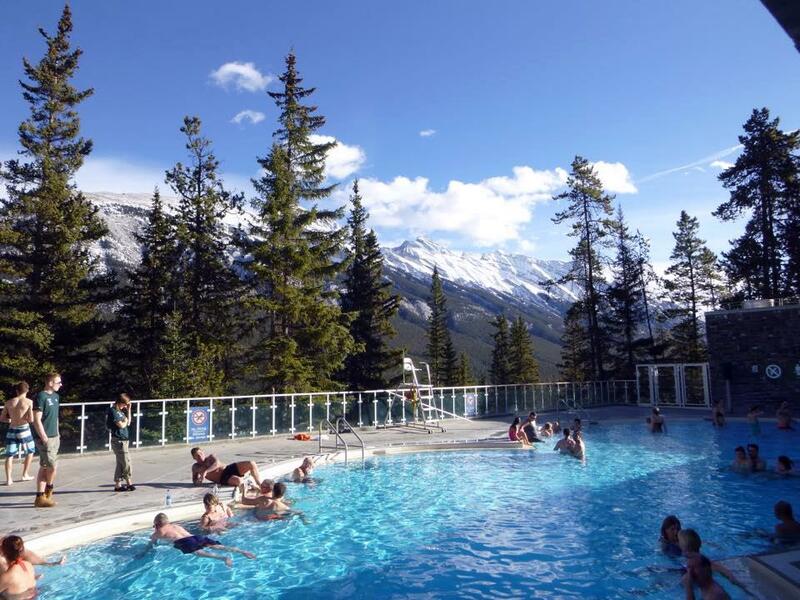 As Ansel Adams once wrote, “No matter how sophisticated you may be, a large granite mountain cannot be denied – it speaks in silence to the very core of your being.” And one of the best places to take in their grandeur is at the Banff Upper Hot Springs. Located just above the town of Banff, you’ll be entranced by their magical waters and the views they afford. Local Freshies tip: If you’re keen to avoid the crowds at this popular spot, do as the locals do – come in the morning for the most relaxing visit. The Powder Highway is the ultimate destination for those that love uncrowded slopes, steep terrain and plentiful snowfall like no other region can offer. Besides having the highest concentration of snowcat/heli-skiing operations in the world, it’s also home to an assortment of world-class hot springs. One of them being the Ainsworth Hot Springs. Nestled in a mountainside overlooking the vast expanse of Kootenay Lake and the Purcell Mountains, it’s a great option for those that want a relaxing day after hitting up Baldface or Whitewater Ski Resort. Offering up three odorless pools, THE highlight of the natural hot springs is the horseshoe cave, offering an exhilarating experience. You’ll just have to see it for yourself. Since visiting our very first hot springs after a day of shredding pow, we make it a point to find ski resorts near hot springs. After being to countless pools over the years, these are what we think are the 5 most unique hot springs in North America near a ski resort. Are we missing any? We’re always on the lookout for our next diversion on a ski road trip.